It may lack the atmosphere of some other venues on the calendar, but where the Chinese Grand Prix excels is delivering some top notch views of the circuit. 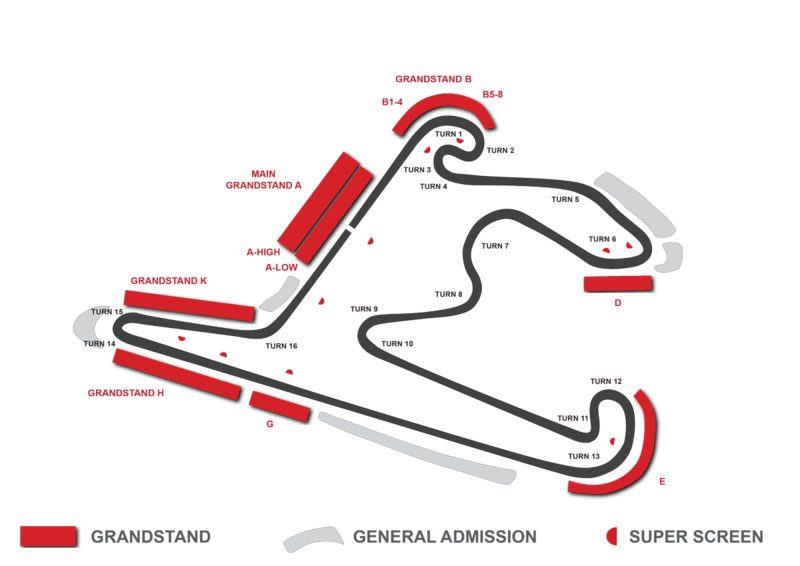 I’m no fan of the Herman Tilke homogenization of F1 venues, but I have to confess it was an epiphany when I saw what kind of views a modern, purpose built circuit could offer. I first visited the Shanghai circuit in 2011 having previously only attended European circuits and was blown away by the views of the track. None more so than seats in the upper rows of the main grandstand which is in fact the largest grandstand in the sport. Besides, as you would expect, offering the best views of the start, the pitstops and podium celebrations, the upper rows (Gold, Gold+ and Platinum) enable you to see about 80% of the circuit. You can see over the pit and paddock buildings and can follow the cars around the track, offering an unusual perspective from which to watch the race. The best seats are in the left of the grandstand and feature a great view of turns 1 to 4. The only negative of the grandstand is the sometimes hazy conditions that effect visibility at the Shanghai circuit. 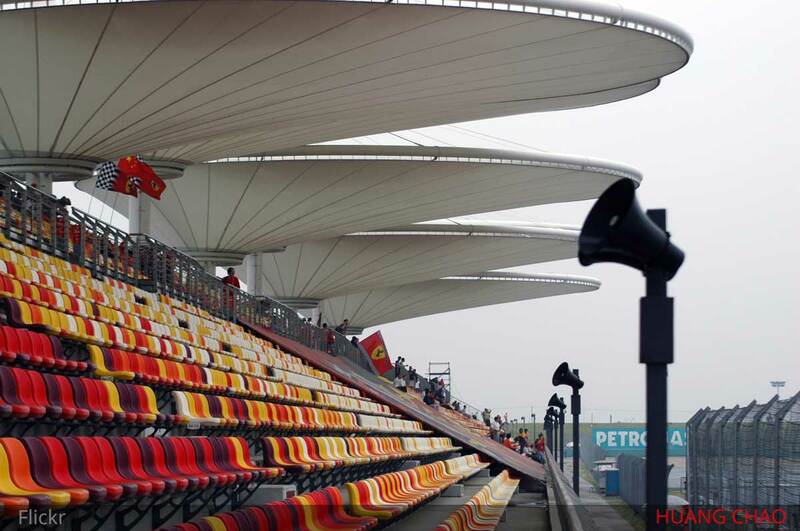 With Chinese Grand Prix tickets tending to be relatively inexpensive anyway, if you’re ever going to splurge on a main grandstand seat this could be the place to do it. The lower section of the main grandstand, Grandstand B (Silver and Silver+) is a standard main straight affair with perfectly good views of the race build-up, start / finish and the pit lane but too low down to see over the pit complex to the track beyond. A seat at the hairpin is another decent option provided you’re near the corner. From here you’ll see the cars breaking from one of F1’s longest straights and overtaking in the DRS zone. Get a seat in the stands nearest to the apex for head on views of the cars rounding this tight corner. An excellent spot for photography as the drivers slow right down. On the opposite side of the hairpin, Grandstand H has good views of the braking area from higher rows. Its a prime spot to watch overtaking moves at the hairpin or if you’re seated at the opposite end of the grandstand, see the pitlane entry and watch the drivers take on the tricky final corner. Avoid seats in the lower portion of the stand though especially those further from the hairpin. With the distance and the catch fencing that is such an issue for seats lower down you may end up not having a view of the hairpin at all. 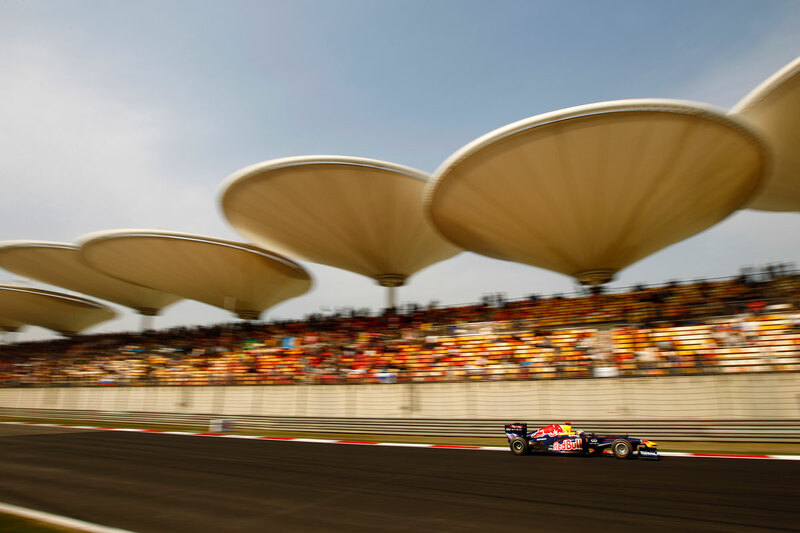 General admission at the Shanghai circuit is divided into zones and fans can only enter a zone they hold a ticket for. These areas are grassy banks with no seating provided so it pays to turn up early in the day to reserve your favourite spot. Grass Zone B, at turn 1 is the most favourable, offering views of the first sequence of turns and a view down the main straight where you can make out the cars on the grid, the final box in the pitlane and enjoy an elaborate grid ceremony. Conveniently, Zone B is close to the main entertainment and refreshments area. The only drawback is that the area is subdivided with spectators being assigned an area randomly and track views can vary. Situated at the hairpin Grass Zone J offers a good view of this corner and will likely be the scene of most overtaking moves, albeit under DRS.